The perfect blend of traditional and contemporary without being too much. 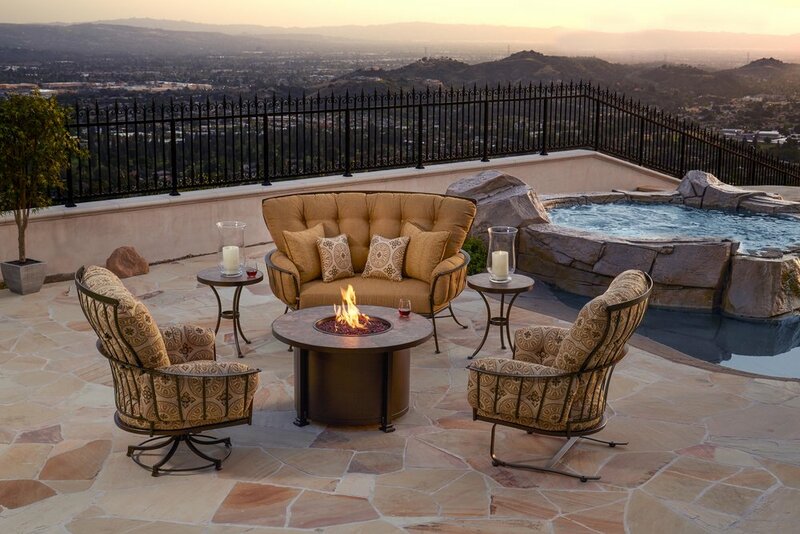 These collections are the best of both worlds and will fit perfectly into any outdoor room. These high end upscale looks will help create and design a space and look that will last for years. We have these in-stock by can special order most tons of other transitional designs.